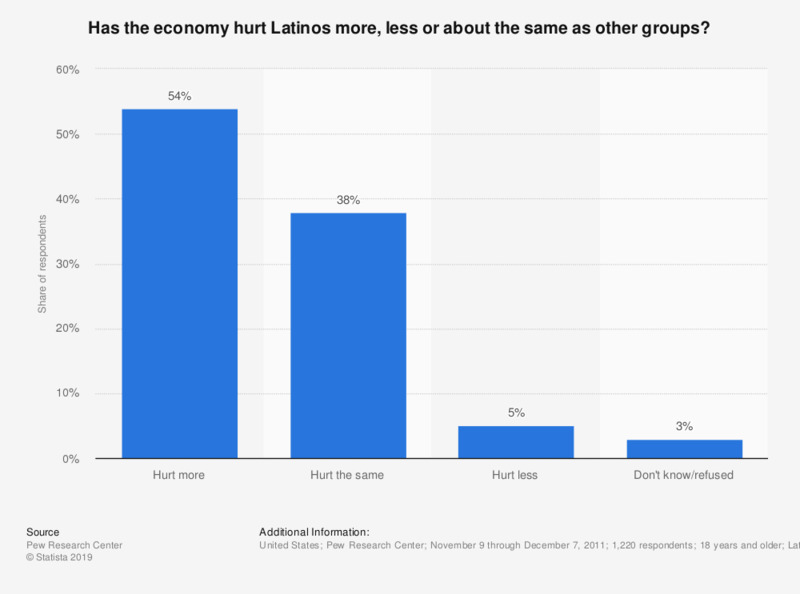 This survey shows the view of a group of Latino adults in the United States in terms of how the economic downturn, that began in 2007, has hurt them. 54 percent of the respondents stated that Latinos were hurt more by the economy than other groups. Would you say that the current situation has positive, negative or no impact on your credit access conditions with your bank?